The questions whether, when and how international human rights law applies to the activities of armed forces during armed conflict have been the subject of much discussion and litigation in the past couple of decades. It is now clear “that the protection offered by human rights conventions does not cease in case of armed conflict . . .” (International Court of Justice, Advisory Opinion on the Israeli Wall in Palestine (2004), para. 106). However, what has been less clear is when those protections apply, especially when the state concerned is acting outside its territory, and how human rights law is to be applied in armed conflict. With regard to the latter question, one of the key issues is the relationship between human rights law, as it applies in conflict, and international humanitarian law as the law specifically designed for application in conflict. In the literature, and even in the case law, most attention has focussed on the when question (the question of applicability of human rights law) rather than the how question (the method and mode of application of human rights law). However, given that it is undoubtedly the case that there are circumstances when human rights law applies in armed conflict, even extraterritorially, the focus on the former set of questions, has led to an unfortunate lack of guidance as to how to apply (and to think about the application) of human rights law in situations of conflict. Towards the end of last year, Oxford University Press published the Practitioners’ Guide to Human Rights in Law Armed Conflict (Murray, Akande, Garraway, Hampson, Lubell & Wilmhurst), a book that arises out of a project carried out by Chatham House under the leadership of Elizabeth Wilmhurst. The aim of this book is to provide guidance not only on when human rights law applies in situations of conflict, but, more importantly, on how it is to be applied. 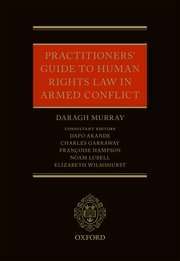 As the Introduction to the book sets out, “The book is concerned primarily with giving guidance to the armed forces for the conduct and preparation of military operations.” (p. 2) However, it should be of assistance to all those who have to think about the application of human rights law in conflict – government officials, lawyers appearing before courts, members of non-governmental organizations and judges. The book is divided into two parts. The first part (Chapters 1-4) provides an overview of human rights law, when it applies extraterritorially (ch. 3) and its relationship to the law of armed conflict (ch. 4). The second part (Chapters 5-17) provides detailed guidance on how human rights law applies to a range of issues that arise in armed conflict, eg the conduct of hostilities and targeting (ch. 5); weapons (ch. 7); prisoners of war and internment (ch. 8); occupation (ch. 10); and cyber operations (ch. 15). “Chapter 3 . . . explains the approach taken in the book on the important question of the extra-territorial reach of international human rights law. It considers the circumstances in which an individual who is outside the territory of the State will be found to be within its jurisdiction such as to create human rights obligations for the State with respect to that person. The chapter sets out the different categories of extra-territorial jurisdiction that have been found by international and national courts applying human rights law, distinguishing between the those cases where the State has human rights obligations because of its control of a territory on the one hand and, on the other, cases where State agents exercise authority and control over an individual such as to bring the person within the jurisdiction of the State. As with other chapters, Chapter 3 seeks to identify trends in case law and to apply how the underlying rationale for those trends is likely to be applied in future. 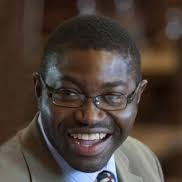 It emphasises that a finding that human rights law applies extraterritorially does not mean that all of the State’s human rights treaty obligations apply with respect to a particular situation. With the exception of operations within a State’s own territory and situations of occupation, human rights obligations can be ‘divided and tailored’ such that only those human rights obligations relevant to the situation are applicable. Chapter 4 is key to the understanding of the rest of the book, concerning as it does the relationship between international human rights law and the law of armed conflict. It does not address the huge amount of academic debate about the relationship between these two bodies of law, but identifies key trends in the international case law leading to conclusions relevant to interpreting one body of law in the light of the other, to overcoming conflicting obligations in the two bodies of law and determining how to accommodate them or to give one body of law priority. For the purpose of the specific guidance given in the second part of the book a distinction is made in Chapter 4 . . . between what are termed ‘active hostilities’ and what are termed ‘security operations’. These terms are used whether the armed conflict in question is international or non-international, or a situation of occupation. Once an armed conflict exists, the ‘active hostilities’ framework and the ‘security operations’ framework are used to determine how the law of armed conflict and international human rights law are to be applied in the most appropriate manner, in light of the situation. As chapter 4 explains, the ‘active hostilities’ framework regulates situations in which it can be seen, on the basis of the international human rights decisions, that the law of armed conflict provides the primary legal framework. In so-called ‘security operations’ international human rights law provides the primary framework. Finally, Chatham House is hosting a launch of the book this Wednesday at 5.30pm. We hope that many of you will be able to make it. Yet, regarding chapter four, one certainly cannot agree that the laws of war as such are “primary” during armed conflicts of any sort as opposed to human rights jus cogens or human rights obligations under articles 55(c), 56, and 103 of the United Nations Charter, see http://ssrn.com/abstract=2563329 (Huma Rights on the Battelfield).